Many people are lucky and have never had to deal with their vehicle repairs due to an accident. There are a few assumptions out there about the process and the final result of filing a claim through an insurance company. One of the major assumptions involves vehicle repair, and whether your vehicle is being repaired with used parts and/or new parts. What are” used parts” anyway? When you file your claim, your adjuster will set your vehicle up for inspection, based on your policy coverage/terms. The purpose of this inspection is to evaluate the damages to your vehicle as a result of the accident. Your insurance policy is in place to make you “whole again”; to put you back in the same position you were in seconds before the accident. Your policy isn’t in place to put you in a “better position”. Let’s dig into that a bit. When you purchase your policy, you are purchasing protection for your assets, in this case, your vehicle. When you enter into that contract, you enter it with your vehicle in its current state, let’s say a 2010 Toyota Camry. You purchase the insurance policy and select coverage that will protect your vehicle from that point forward. On that day, you pay a premium in exchange for protection from the insurer. If your vehicle is involved in a covered loss, the insurer is obligated to make you whole again, not add additional value. If your 2010 Toyota Camry is involved in a collision, sustains $3k in damage, and needs to have a few parts replaced, the parts used will be those that were made for a 2010 Toyota Camry, not a 2018 Toyota Camry. Let’s dig into that a bit more. After-Market: Parts made by a company other than the manufacturer of the auto. All parts are authorized and meet or exceed the quality of the manufacturer’s parts, but cost less. Like, Kind, and Quality: refers to a condition in insurance your insurance policy that states that the insurer would cover the cost of repairing or replacing a covered loss, with parts like the original in composition and quality. OEM: short for an original equipment manufacturer. OEM refers to the manufacturer of the original equipment, that is, the parts assembled and installed while the vehicle was being constructed. Insurance is regulated by each state; therefore, requirements will vary; however, all are required to use certified options as outlined by each state’s Department of Insurance. Below is a snapshot regarding the use of parts by state, provided by OLR Research.gov. 31 states, including Connecticut, require a disclosure statement with the repair estimate concerning the use of non-OEM parts. 20 require the manufacturer of the non-OEM aftermarket part to be identified. 13 require the non-OEM parts to be of “like kind and quality” to OEM parts. 6 require a customer’s consent before using or requiring the use of non-OEM parts. 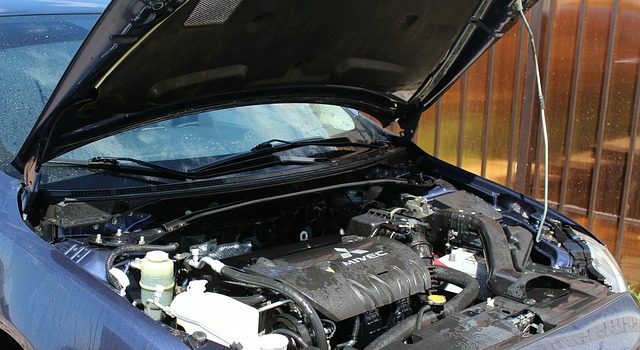 The term “used parts” isn’t used properly and therefore causes panic; many are under the impression that “used parts” are taken from one vehicle and used to repair another. While your insurer isn’t obligated to replace your 2010 used part with a 2018 new part, they are obligated to protect you and make you whole again, by repairing your vehicle with one of the certified options above. The use of parts of your vehicle is determined by a few factors as shown above, however, the end goal is the same: to protect you and make you whole again. Any part used to repair your vehicle, will be safe and puts you back in the same position you were seconds before the accident.